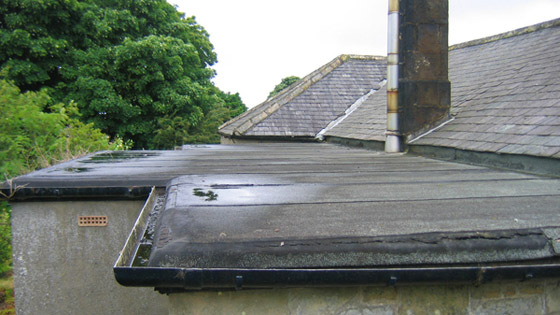 Low-slope or flat roofs are notorious for developing leaks. If you have a leaky flat roof, contact LGC Roofing, your local roofing repaircontractor with over 20 years of experience repairing and restoring all types of roofs. We pull up the existing rubber roofing material, bolster the underlying insulation and re-install rubber shingles including new flashing. We seal cracks with high-quality roofing cement. We replace the sheathing by tacking it down with fasteners. Tired of leaks? Consider EPDM, a synthetic rubber compound that’s becoming a popular option for residential and commercial roofs. It offers exceptional resistance to hail, high winds, snow and ice, superior durability and minimal maintenance. Contact LGC Roofing to inquire about EPDM installation for your flat roof. We’ll inspect your existing roof, make repair recommendations and discuss your roofing replacement options – including the potential benefit of a new rubber roof. Call (609) 712-8157 today! Request a flat roofing repair or replacement estimate for your home in just 20 seconds.